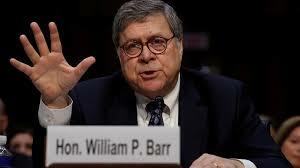 On today’s show we discuss Candice Owen’s testimony to Congress on Tuesday as well as Attorney General’s William Barr’s comments about “spying” on the Trump campaign. We visit with the co-founder of the Florida Citizens Alliance Pastor Rick Stevens about replacing Common Core standards and expanding school choice. The Founder and President of Less Government Seton Motley and I discuss protecting American businesses and their representatives abroad. We also visit with Naples Mayor Bill Barnett. Please join us for tomorrow’s show. We have terrific guests lined up including local public education parent and activist David Bolduc, local travel, entertainment, and dining author and columnist Sharon Kenny, and the author of “The Devil at Our Doorstep” Dave Bego.